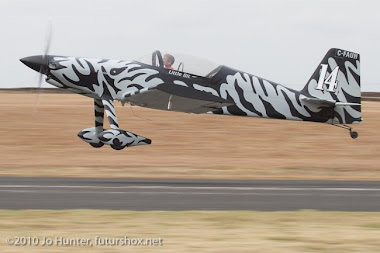 The Indy Air Race TM: SARL 2011 Race Wrap-up Reports! So the first annual Big Sky Air Race is in the books, carefully planned and flawlessly executed by Brian Carroll, his wife Kris, daughter Jenny, our Air Boss Neil and a whole host of volunteers. All participants had a great time, taking advantage of the overwater legs to show off their aircraft to the adoring public. I still think the locals had an advantage of knowing what altitudes to run what legs in which valleys to get the tailwinds... although it didn't seem to help me much to follow Race Director Brian around the second half of the course (after he passed me mid-way). The arrivals on Friday was like a party - the weather was gorgeous (I now know why they call it "Big Sky". It was huge!) - and the hospitality first rate. Saturday was The Big Event and the locals came out with their kids to watch. The brief was thorough, a few kinks were ironed out and we mounted up. 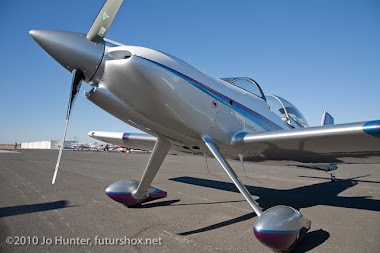 Once I get the Race Memories up you will see how the breadth of aircraft ran from a Waco to Alan's Lancair Legacy... and the cool thing was the Waco wasn't last! We did get the race run before the wind and turbulence picked up, although there were still a few bumps along the way. The scenery rivaled the Pagosa Springs race and one had to pay attention to keep from gawking. It wasn't much trouble for me, however - I was just watching that yellow RV-7 disappear in front of me. After the race lunch was served while the scoring was done which was, alas, accompanied by a minor hiccup of course length. The situation was quickly corrected and the published speeds are accurate. We had a break in the afternoon before the catered dinner and band, and then after dinner we were treated to an impromptu formation demonstration by Bob Mills, Carl Brownd, Jason Rovey and Brent Travis. Of course when they came over the field as a nicely welded four-ship... my camera was in the office. After retrieving said camera, they had broken into two singles and a pair. Another treat after dinner was the fulfillment of a text message I had actually gotten earlier in the afternoon from Chris Murphy, Race 34, who was majorly bummed he was missing the race. He was getting paid to fly his B-777 or whatever it is United Air Lines gives him to play with. "Flying over BZN about 4 hours @ about 1945 mountain time. Get a hand radio on 123.45 and I will say hello to the group." And so we did - and so he did! What a treat. We had everyone around the radio, passing it around and telling him what a good time he missed (just rubbing it in - you know how we are). I said to him "Let's upload the course turnpoints to your nav computer and you can come down and take a lap". He declined saying he didn't think his passengers would understand... besides, something that big would have a hell of a time on the island turn. The funny thing was folks standing there looking around the sky for sign of his aircraft. We never did see him even though he sounded like he was right there in the pattern talking to us; he was probably 8 miles high going by. The trip home Sunday was uneventful, pleasurable, and just plain long. Alan Crawford, Bobby and AnnElise Bennett, and I headed South in the early morning so as to be out of the mountains before the afternoon winds picked up. All told I think I put about 18 hours on El Lento this weekend. I have had race results from the Top Of The Chesapeake Air Rally, but have not yet received a race report. I will publish that as soon it shows up. Race Memories will be along. A lot of catching up to do, but they will be along. 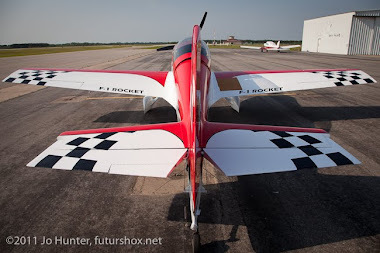 AirVenture Cup fever has taken hold of many members, and I have received a more complete list of registrations that I will add to the Who's In page for that race. As we move into August, the much awaited, much anticipated Indy Air Race will run on the 13th. That promises to be a fun event, and having had a chance to look over the course I think you will enjoy the race as well. Happy Father's Day, if applicable! Two more races are In The Can! 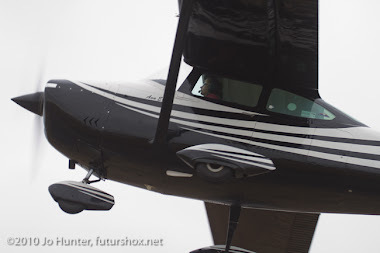 We've had good reports from some folks who attended the Great Northwest Air Rally (GNAR II) and I have some pics, will be working on Race Memories over the next few days. 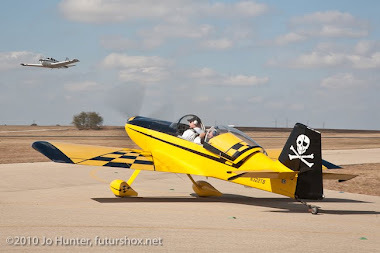 My own report is of the West Texas 100 Air Race. This race has been one of the mainstays of the SARL circuit and continues to be a winner. Reduced attendance this year was attributed to several of our racers being at the Pylon Racing School at Reno, one racer had a starter fail on race day morning, another didn't show for unknown reasons. Let me take a moment to ask that if you register for a race, please let the Race Director know if you have to cancel. We make a point of providing contact phones on the race page, and most all of the Race Directors are members so their email is available on the Member's Page of the web site if it's not on the race page. We all know that life continues to happen while we make our plans to play, but there's just no good excuse to be a no-show at a race. So those of us who flew in the 2010 West Texas race approached this one with some trepidation. 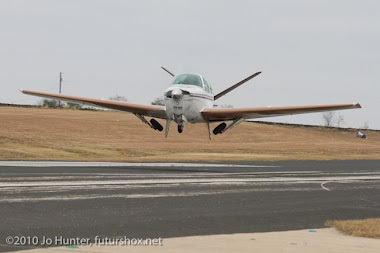 The forecast was favorable, but you haven't seen hot until you've been on the ramp of a West Texas airport in June, and windy ain't windy until you've been in a taildragger on a West Texas summer afternoon! Turned out the forecast held, though, and we enjoyed mid-eighties and fair winds for the race. It was getting warmer and more breezy as we departed early afternoon, but still manageable. The race itself was a good exercise in pre-race planning. You've probably seen the results, and we had one standout performance at the race from one Mr. Bobby Bennett, Race 193. Jason Rovey, Race 391, launched ahead of Bobby and anyone looking for action would have put their money on Jason.... right up until turn 4. Turn 3 we heard Jason make his turn call, then Bobby. Turn 4 we heard Bobby make the call, then Jason... and some eyebrows went up (at least mine did). Once we all landed and everyone got together in that pilot-hand gesturing and tall-tale cluster, we asked them both about that. Seems Jason never saw Bobby pass him, but pass he did. In the spirit of sportsman-like conduct and brotherly trust,... we then demanded to see Bobby's GPS track. He was a good sport about it all and retrieved his Garmin. We examined his track and for those of you wondering how Bobby turned in 222 MPH in his S35 Bonanza against the RV-8's 219... he did it fair and square. Maybe he got lucky with the winds (we did hear how Jason was mostly higher than Bobby, which from my experience with Ken's RV-8 could have made the difference). Maybe he's been sandbagging us these last few years...! Good race, Bobby! Well done! 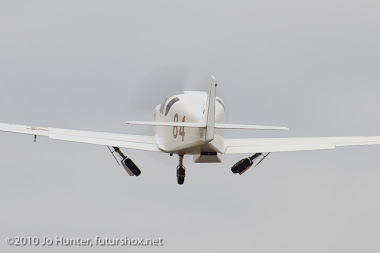 Alan Crawford did his best to stay up with the Turbine Twin Cheyenne III that led the parade, but his single IO-540 just wasn't up to the task... by a matter of 6 MPH. 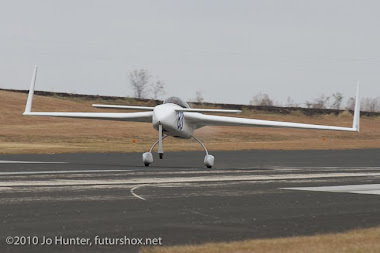 It was, all in all, a good race; well organized and flawlessly executed by Tim Hardage, his first race to manage solo. Thanks, Tim! It was also a cool thing to land, walk into the open-bay hangar and get besieged by kids with their Fly-Fast magazines covered with signatures, asking for YOUR autograph. A SARL race is a cross between an EAA fly-in picnic and the Reno National Championship Air Races. Well Done to all racers who attended! For those who didn't, maybe next year? Now - who among the GNAR II racers will pen a few words? If you will send me a write-up I will publish it in a newsletter. Next up, another double-header in the form of the Big Sky Air Race AND the Top Of The Chesapeake Air Rally II, both on July 9th. I've updated the point totals after the Memorial race. As we head into June, 70 points separates the three leaders, Race 84, Race 35, and Race 390. The race was a blustery, rollicking good time! 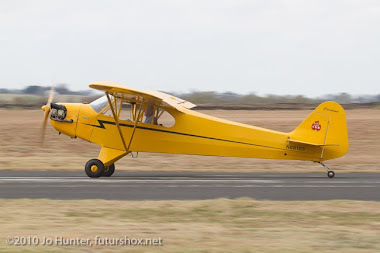 Once again we ran the gamut; from a pair of Monster T-28s to the lowest serial number Ercoupe (Serial 110) and the ONLY Warbird Ercoupe in existence. 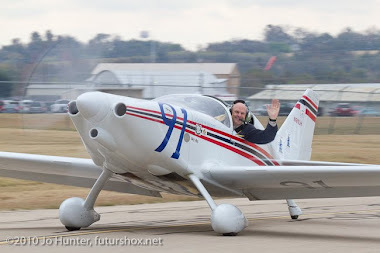 Mark Hardin (who also happened to own the FBO which hosted the race at Terrell, TX) flew his award-winning PQ-13 Ercoupe to, well, last place at 93 MPH - but he had as much fun (maybe more) as the fast movers! Overall the field posted some good times despite the winds - which might have even helped if they were played correctly. How many racers, for instance, knew the headwinds decreased as you went higher? Instinctively the savvy racer will stay in the weeds on the headwind legs, but not so at the Memorial race! Several classes were duals - and duels! Bobby Bennett, Race 193 gave up the FAC1RG class win to Chester Jurskis, Race 129, by the time it took to make one bad course turn and then correct: 1 second! In the FAC3FX class AnneElise Bennett in "X-Ray" came from behind to pass and beat out her long-time competitor Louise Scudieri by almost 3 MPH. Even in the Unlimited class Joe Dickerson, Race 127 sucked it up after losing to Chip Lamb, Race 126 at BCAF, and beat him at the Memorial 150 race by 30 seconds. These two worthies were flying what are (as far as I know) two identical T-28B aircraft. And speaking of smoking, Jason Rovey, Race 391 came out as a late entry to smoke the entire RV Blue field. Experimental Gold winner for 2010, Jason beat his nearest class competitor by almost 9 MPH. When we of the RV Blue class saw his name pop up on the Who's In list, we gave a collective forehead slap knowing what was to come. I guess he tumbled to my re-programming his GPS to direct him towards Houston... Oh well. All in all the race was a great event filled with foregone conclusions, nail-biters and upsets. What more could an Air Racer ask for? Next up - and soon - the Big Muddy Air Race! that just happened to be directly below him at the time. But don't relax too much! Alan Crawford, Race 02 and Tom Martin, Race 109 will be nipping at your heels if you back that Merlin off too far! I will not make the Big Muddy race this year, and will be waiting right here in front of the computer along with the rest of you, for results. Good luck to all racers! 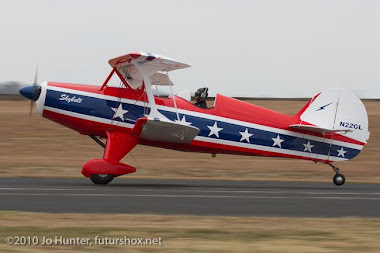 Well, the first annual Lone Star Air Rally drew to a successful close late in the day on 14 May, 2011. It was easy to tell its success by the smiles on the faces of each and every pilot who participated. In fact, the Rally was acclaimed by both man and nature alike, as an unusual May cold front late in the week set the stage for a cool, dry Rally day which served to toss everyone's race plans right out the window. Usually a participant will begin planning their strategy as soon as the course is published, based on average weather (winds) at the location. 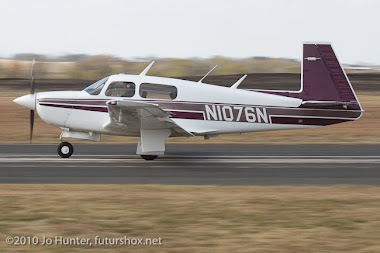 What altitudes to fly each leg of the course is carefully matched to the aircraft's performance capabilities and how lucky the pilot is feeling... and Yes, Virginia, luck does play a role in this sport! When the expected onshore winds turned 180 degrees for Rally day, the strategy for the zig-zag section of the course turned with it. Some chose to remain on the deck for maximum manifold pressure and HP to brute force the course, but some chose to play the winds in that ever-elusive search for a 30-knot tailwind. better day at the races. 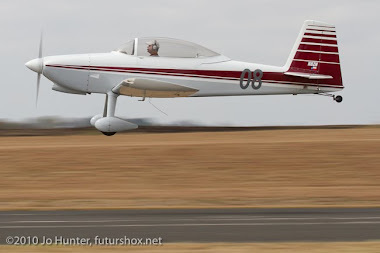 Third place, Experimental, went to Alan Crawford who is still tweaking his Lancair Legacy but who stays within shouting distance of the leaders. Once he gets it all dialed in we expect great things from Alan and “Spirit Of America”. The Hammer Brothers Racing Team put in a good showing, as expected. 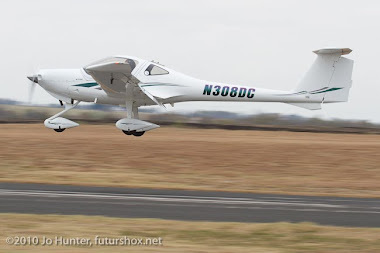 It was good to see the (nearly) matched pair of Glasair I TDs out there on the ramp again, and to have Steve join the fun! 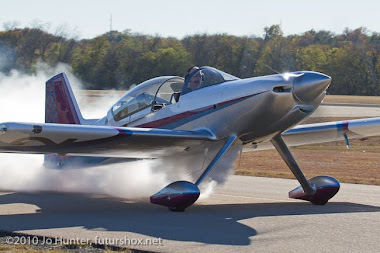 First place honors, Production, went to Bobby Bennett who seems to have found the recipe for getting the most out of an S35 Bonanza. Last year Bobby was the perineal second or third runner up, but a Winter engine “tune up” (read overhaul) in addition to some airframe upgrades has so far served him well. Second and third place, Production, went to two other Bonanzas, one of whom was flying with us for the first time. Don Polan placed second in his V35, and an experienced SARL veteran, Jim Huff, placed third. 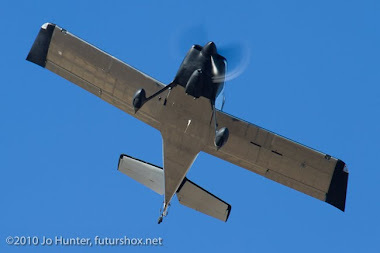 Full Rally results can be found at http://sportairrace.org/id405.html. 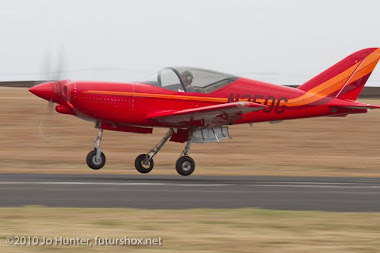 One notable entry at the Lone Star Air Rally was a YAK-52. League events continue to attract the Heavy Metal which is prompting the gears to turn on a brand new category and classes. 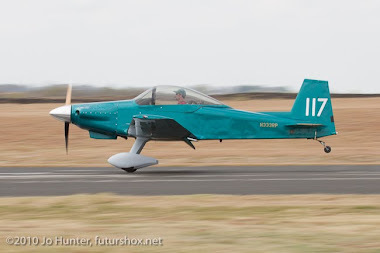 Stay tuned for more news on that – but we are expecting, and hoping, for a several-aircraft turnout of T-6s at the Tennessee race in September. new racers a little further North. 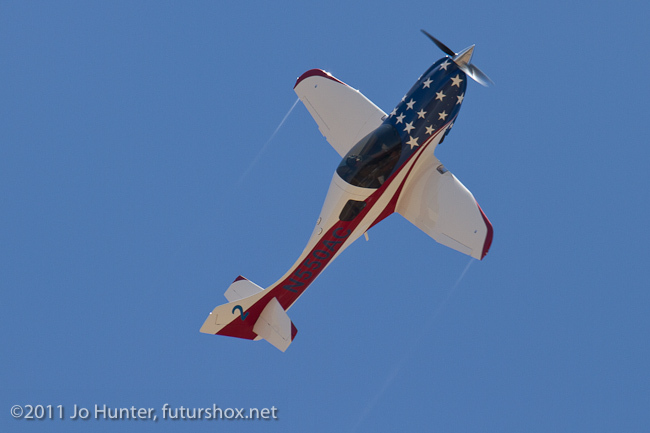 Another successful Big Country Air Fest and Air Race is on the books! 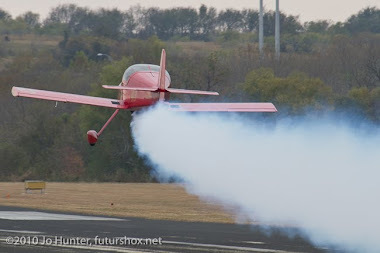 Unparalleled hospitality was experienced by the racers, courtesy of EAA Chapter 471 and Gray Bridwell in Abilene, Texas. Our races at Abilene don't always come off, but we are always made to feel welcome by the hard-working crew there - and this year was no exception. But in the end we fielded 10 aircraft, one of which experienced a catastrophic navigation/panel failure not long after launch and returned to the field to DNF the race. Team Ely made the trip up from Houston in a borrowed plane to provide us timer expertise, and we sure appreciated that! You will note slow times in the results but that's not due to the timers! Thank You Team Ely! racers to pass under those clouds were words of warning, "I just got hammered under these clouds"
Approaching the roll clouds the air was silky smooth and very fast at 3,000 feet. El Lento was trundling along at 208 knots GPS - I can't image what the fast movers were seeing for ground speeds. It was very deceptive right up until the first time the head got slammed into the canopy. Oooff! I kept on trucking thinking that HAD to be the worst of it... but then Slam! And Bam! And Holy Molee!Power back and chinch down the shoulder straps, we're in for Mr. Toad's Wild Ride! In all we traversed the area fairly quickly, made Turn 2 and blasted off for the Lake Ft. Phantom Dam (another Dam turn) but I fear the time spent with the power pulled out cause the speeds of more than just me to suffer for the race. Oh well - next time. Next year the BCAF will be at Dyess AFB, and listen, you guys - there's no reason to let that keep you away from a really good time! Hopefully we'll have better weather than what whittled our 17-plane field down to 10 this year. A special thanks from me to all who attended and raced this year. We had a challenging schedule to keep, and we launched only 5 minutes late, 0805! Well Done! 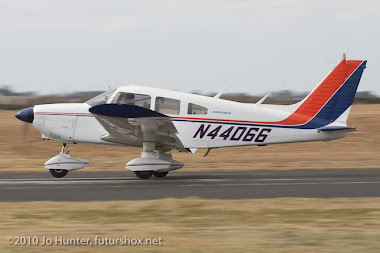 Next race... er, Rally - the Lone Star Air Rally on 14 May at Galveston. The SARL circuit expands yet again, down to the Texas Gulf Coast. Plan an extra day or two to enjoy our little part of the Redneck Riviera at Galveston, Texas. And rack up a few race points while you're there! Those of you who could not attend the 2011 Texoma race missed a good one. Turned out the Mustang said, No! You will NOT corral me! 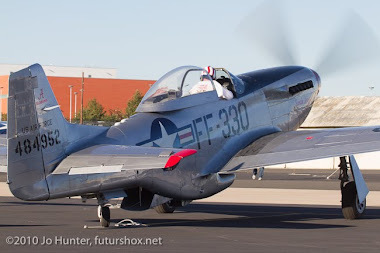 Claude Hendrickson in the P-51D Mustang bested the Sport class ropers by a mere 5 MPH... this time. We'll see if he can pull it off again at Abilene on 30 April (two weeks away). Red Hamilton came all the way out from Fort Bragg, CA to prove the point that sometimes airplanes can be like fine wines - older is better. 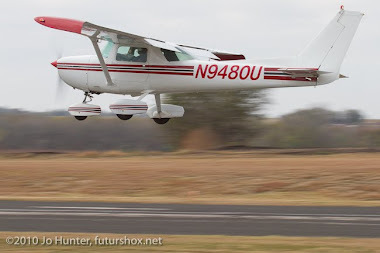 Flying what I understand to be the oldest airworthy Cessna 180, Red flogged his aircraft to over 25 MPH faster than the next in class, a Cessna 182. In fact Red beat three Cessna 182s today! Awsome! Check out the scores for full results. All in all it was a wonderful time, a great race and great company with whom to share it. If you missed the experience - well, you have 18 other chances to make it up this year! Everyone did well. A huge thanks to my volunteers, one and all. Lousy weather that delayed the race to nearly noon. We launched as soon as we could for those who were going home after. Congrats to all racers! Texoma in two weeks. Rest, recouperate, re-tape and Be There!